Up until now, the assembly of cores has been shown in an upright orientation for simplification. In reality, the cores would be assembled upside down. 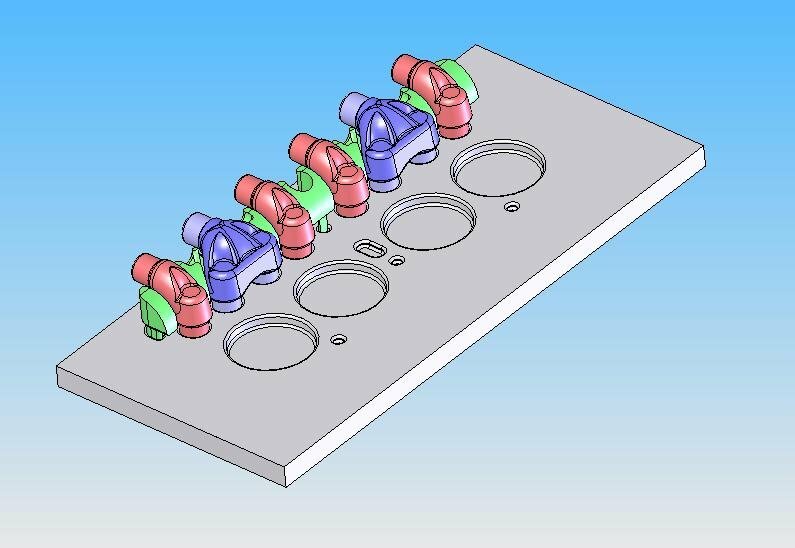 This is for easier placement of valve port cores into their core prints. Once positioned, all cores would be held in place with cement. 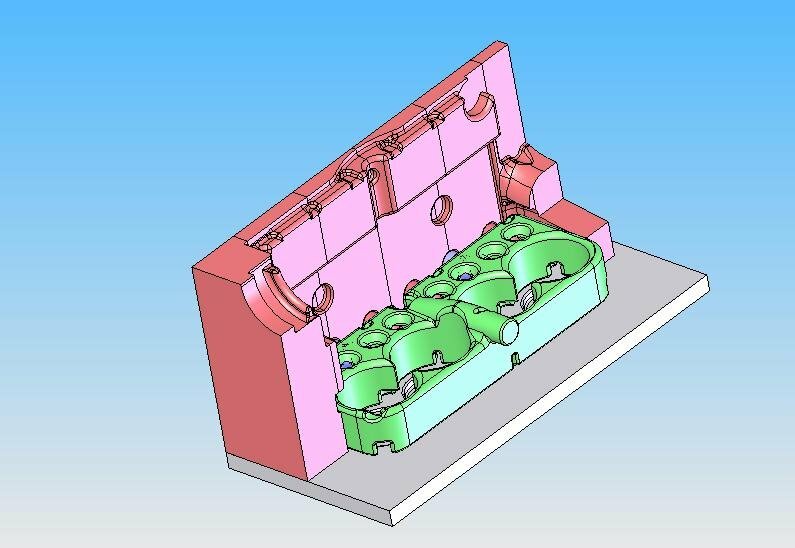 Twenty-one cores (seventeen different) are required to create the mold for the cylinder block. Figure 20, showing the assembly of top, upper water jacket, and valve port cores. 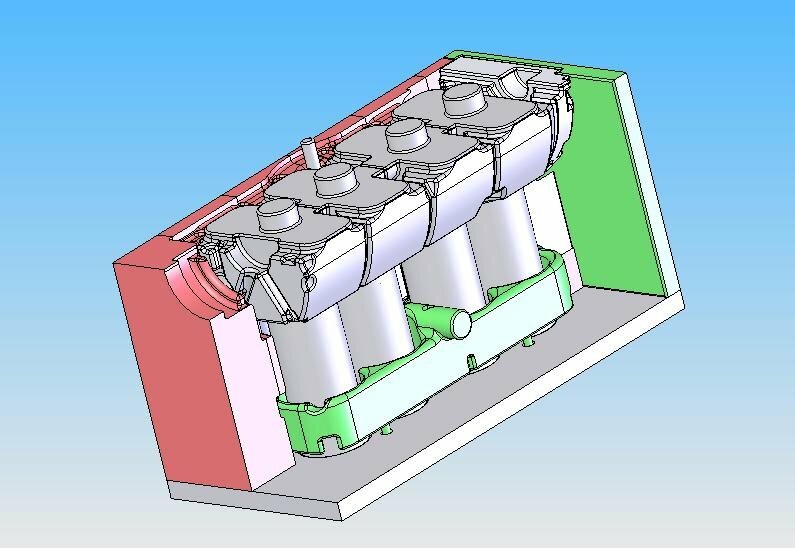 Figure 21, showing the right side and lower water jacket cores added. 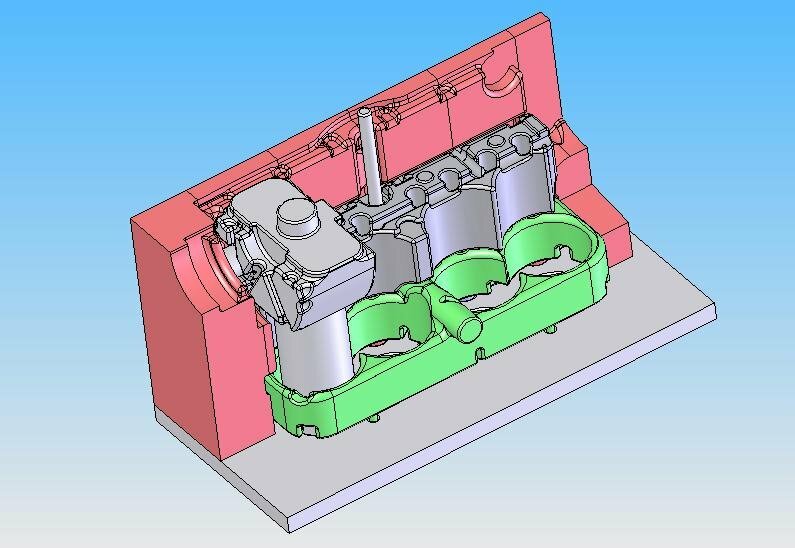 Figure 22, showing the valve chamber, distributor shaft, and cylinder 4 cores added. Figure 23, showing the cores added for cylinders 3,2,1, timing gear cavity, and the front. 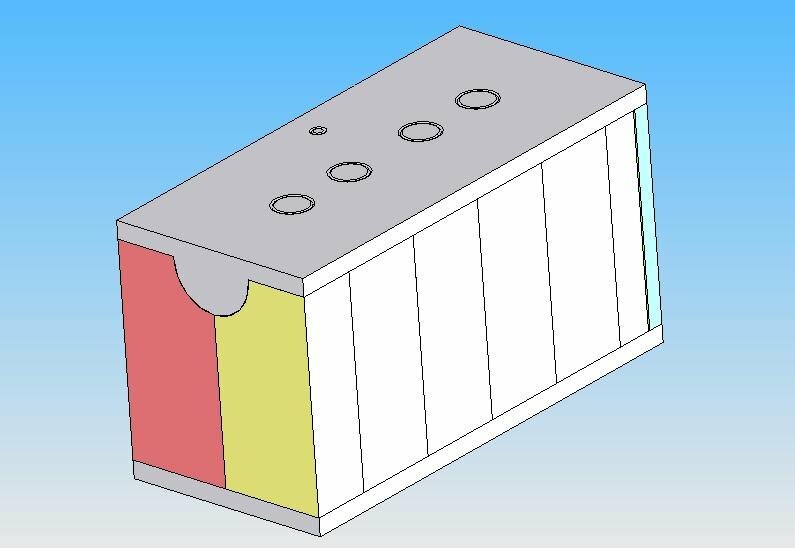 Figure 24 shows the completed mold with the left side and bottom cores added. Note that the bottom core prints go completely through the bottom. This is to allow alignment of cores as the bottom is placed in position. To make a casting, molten cast iron would flow through a system of sprues, runners, and gates to fill the void areas in Figure 24. Gates into the casting through which molten iron flows will be placed at locations that will later be machined. After solidification, the cores which are made of green sand (foundry term) are broken out, and the gating system is cut off. What remains is the raw unfinished casting ready to be machined.